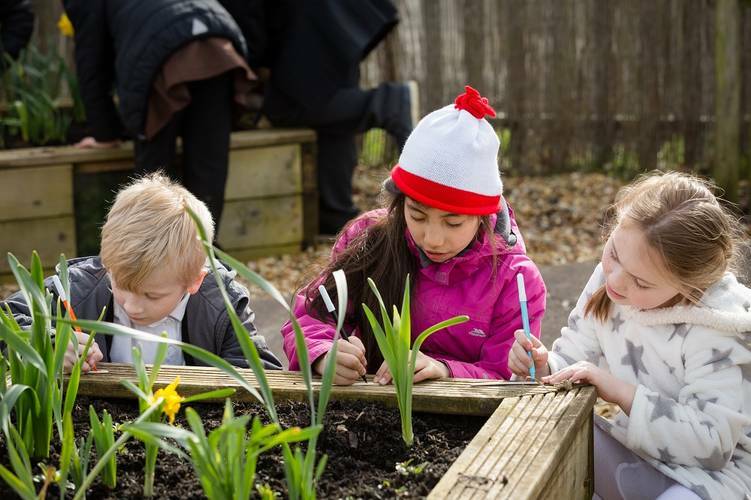 At New World Trading, we think this is an opportunity not to be missed in helping children explore new foods and dining situations. We also know that finding a place where both children and big kids can relax and enjoy can be challenging - especially if kids menus are limited and there’s nothing to keep little ones entertained. To help, we explain why NWTC venues are perfect for all the family, and some top tips on dining out with kids. New World Trading venues provide a variety of activities and menus to keep eating out fun for the whole family. From our innovative kitchens, Kids meals arrive at the table in an interactive format to excite our smallest guests, whilst adult dishes and drinks aim to wow our adult diners. At The Smugglers Cove, Liverpool, children can dive into the depths of our nautical themed restaurant with food served in skulls and treasure chests, as well as other curious gems. The kids menu includes a main and dessert, where kids can choose from a famous Hanging Kebab, Polenta Chicken Strips or Homemade Fish Fingers & Chips, followed by a beach inspired Jelly & Sandcastle Ice Cream – could it get any more scrumptious? Well, it can… because for an extra £1 you can get a tasty drink too! Smugglers also offer kids packs and free wifi to keep them occupied between meals. Our NWTC family is comprised of unique individuals and creative spirits - making us big kids at heart. Our TRIBES events help us keep the fun alive and charity events allows our staff to as raise money for children’s charities such as Barnardo’s. Read more about our charity work here. Book a table at one of our venues to avoid disappointment, or waiting around for a table with hungry children. Choose an early time. The kitchen should be quieter and rumbling tummies will get fed faster. Look at menus online before you arrive. You can make sure there are meals on the menu that your child will enjoy. Call ahead. Extra high chairs, activities, or allergies? Just give our venues a call and they'll make sure to accomodate your needs. Keep an eye out for special promotions or events our venues might be running throughout the year. Each NWTC site host’s different child-specific events throughout the year - usually focused on all your family-favourite calendar dates. To find an event, simply follow your nearest NWTC venue on Facebook and enquire. Download the My New World loyalty app in your app store. 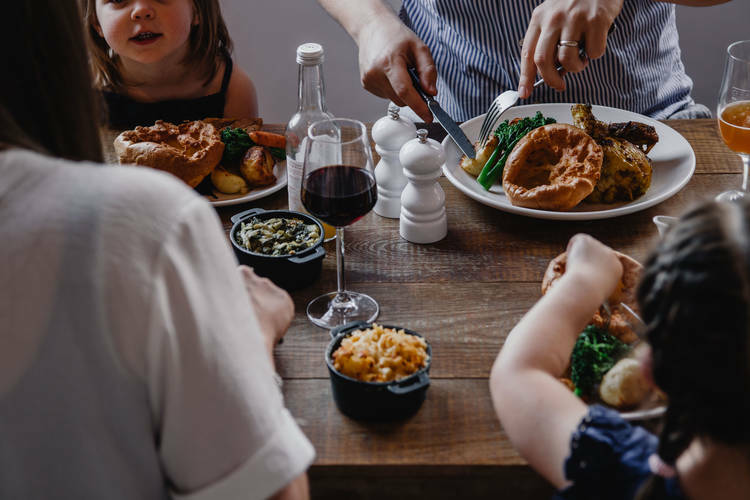 By becoming a My New World member, we will turn 5% of your spend on all food and drink (including kids menus) from every future visit into My New World credit for when you want to treat the whole family. Your My New World credit can be earned and spent at any of our restaurants across the UK. Finally, Sundays with the family are not to be missed at NWTC venues! 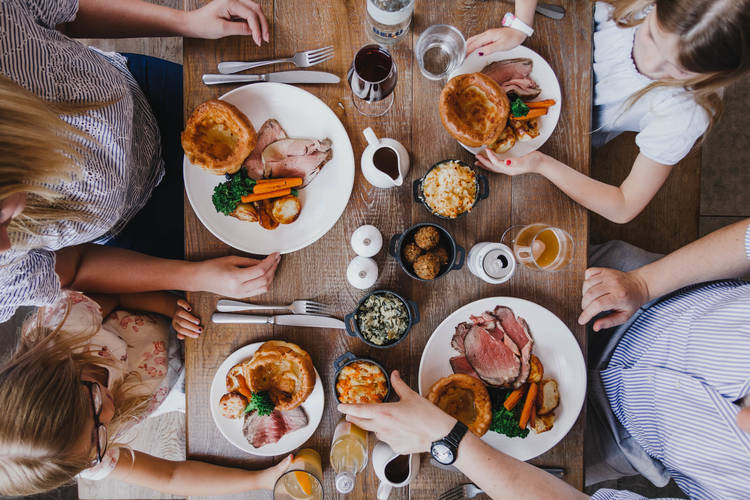 We serve up a delicious array of Sunday roasts for you and your little ones to enjoy. Let us do the cooking (and washing up) whilst you have a fun-filled Sunday well spent with the family.